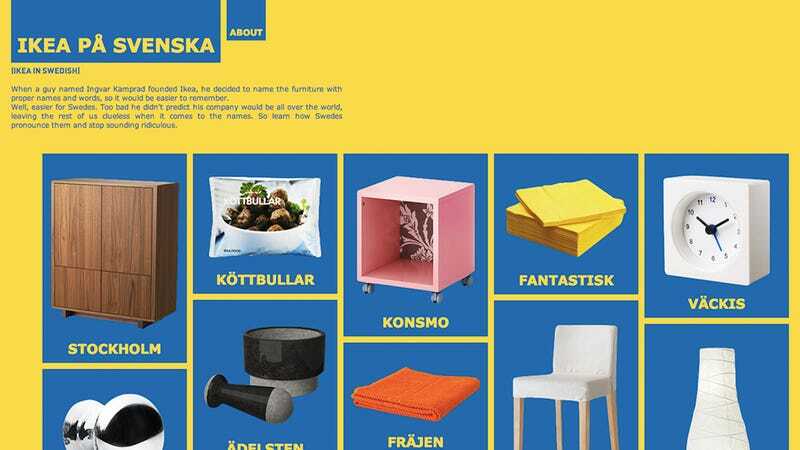 Presumably to preserve its heritage, Ikea uses traditional Swedish names for all of its products, even in its hundreds and hundreds of stores outside the country. So those of us who grew up with English as our mother tongue are left scratching our heads as we wander through an Ikea showroom, afraid to take a stab at pronouncing a particular product lest we sound like fools. But not any longer.